Can music be coded? Can computer create music? Can you train a computer to create music? 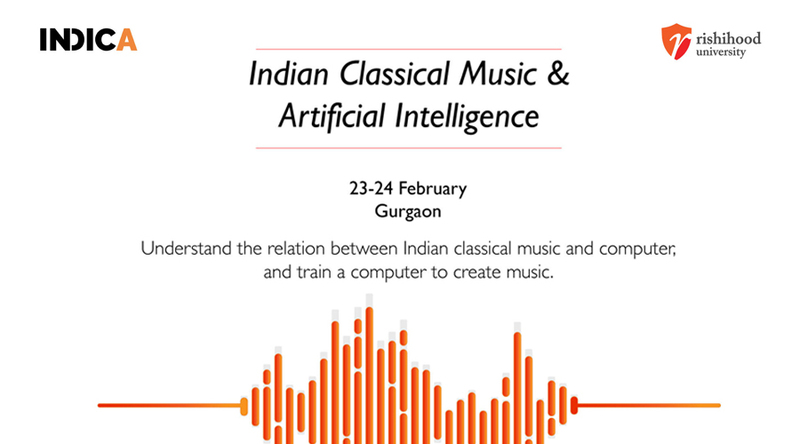 Whether you are a beginner or an expert, whether a musician or a technocrat, this is an intriguing workshop on artificial intelligence and music to find the answers. Combining all these skills and knowledges, he did experiments in imparting creativity to machine, i.e., computer. He created an AI creative expert system which makes a computer perform classical Indian concert on its own, like a creative human musician does. He created the system using the description and analysis of classical Indian music in the ancient treatises such as Naradiya Shiksha, Natya Shastra of Bharata, and Sangeet Ratnakar of Sharanga Deva. By doing this, he proved that these shastras have computationally significant and exhaustive description and analysis of music. Participants do not need any prior specific technical or software skills. Note: Participants need to bring their own laptops. Systems will need Windows 7 or higher system on the computers/ laptops.